The East Asian monsoon has a tremendous impact on agricultural production in China. An assessment of the risk of drought disaster in maize-producing regions is therefore important in ensuring a reduction in such disasters and an increase in food security. 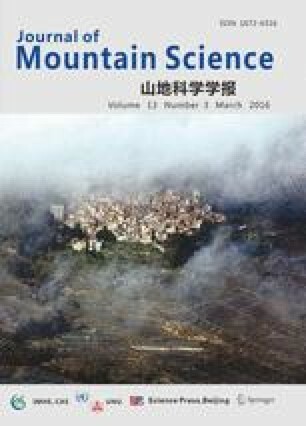 A risk assessment model, EPIC (Environmental Policy Integrated Climate) model, for maize drought disasters based on the Erosion Productivity Impact Calculator crop model is proposed for areas with the topographic characteristics of the mountainous karst region in southwest China. This region has one of the highest levels of environmental degradation in China. The results showed that the hazard risk level for the maize zone of southwest China is generally high. Most hazard index values were between 0.4 and 0.5, accounting for 47.32% of total study area. However, the risk level for drought loss was low. Most of the loss rate was <0.1, accounting for 96.24% of the total study area. The three high-risk areas were mainly distributed in the parallel ridge-valley areas in the east of Sichuan Province, the West Mountain area of Guizhou Province, and the south of Yunnan Province. These results provide a scientific basis and support for the reduction of agricultural drought disasters and an increase in food security in the southwest China maize zone.